The American Association of State Highway and Transportation Officials or AASHTO is a nonprofit, nonpartisan association representing highway and transportation departments in the 50 states. Active Transportation, also known as Non-motorized Transportation, includes walking, bicycling, small-wheeled transport (skates, skateboards, push scooters, and handcarts), and wheelchair travel. The Americans with Disabilities Act or ADA was enacted in 1990, the ADA established that persons with disabilities have the same rights as other citizens to access services and facilities available to the public. In transportation terms, the ADA seeks to ensure that all Americans can meet their basic mobility needs. An Administrative Modification is a minor revision to a long-range statewide transportation or metropolitan transportation plan, TIP, or STIP that includes minor changes to project/project phase costs, minor changes to funding sources of previously included projects, and minor changes to project/project phase initiation dates. An administrative modification is a revision that does not require public review and comment, re-demonstration of fiscal constraint, or a conformity determination (in non-attainment areas). The American Institute of Certified Planners or AICP is a professional certification for planners requiring completing a set of courses and passing a test offered by the American Planning Association's professional institute. Alternatives Analysis or AA includes preliminary engineering and environmental studies of a wide range of transportation project alternatives. Alternatives are narrowed down, with some selected for more detailed study. Then, after substantial and detailed engineering and environmental studies, a preferred alternative is identified. An amendment is a revision to a long-range statewide or regional transportation plan, TIP, or STIP, that involves major change to a project included in an RTP, TIP, or STIP, including the addition or deletion of a project or a major change in project cost, project/project phase initiation dates, or a major change in design concept or design scope (e.g., changing project termini or the number of through traffic lanes). An amendment is not required for changes to projects that are included only for illustrative purposes. An amendment is a revision that requires public review and comment, re-demonstration of fiscal constraint, or a conformity determination (for RTPs and TIPs involving "non-exempt" projects in nonattainment and maintenance areas). In the context of a long-range statewide transportation plan, an amendment is a revision approved by the state in accordance with its public involvement process. The American Public Transportation Association or APTA is an organization for the bus, rapid transit, and commuter rail systems industry, based in Washington, DC that works to improve the accessibility and availability of public transportation. The American Recovery and Reinvestment Act of 2009 or ARRA is an economic stimulus package enacted by the 111th United States Congress and signed into law by President Barack Obama on February 17, 2009. Americans with Disabilities Act or ADA was enacted in 1990, the ADA established that persons with disabilities have the same rights as other citizens to access services and facilities available to the public. In transportation terms, the ADA seeks to ensure that all Americans can meet their basic mobility needs. The Association of Metropolitan Planning Organizations or AMPO, of which the SJTPO is a member, is a nonprofit, membership organization established to serve the needs and interests of Metropolitan Planning Organizations (MPOs) nationwide. An Attainment Area is any geographic area in which levels of a given criteria air pollutant (e.g., ozone, carbon monoxide, PM10, PM2.5, and nitrogen oxide) meet the health-based National Ambient Air Quality Standards (NAAQS) for that pollutant. An area may be an attainment area for one pollutant and a nonattainment area for others. A "maintenance area" (see definition below) is not considered an attainment area for transportation planning purposes. The Bicycle Compatibility Index or BCI is an analytical tool for assessing how well suited a roadway is for bicycle travel. Brownfields are abandoned, idle, or underused industrial or commercial properties where expansion or redevelopment is complicated by environmental contamination that can make redevelopment financially or logistically prohibitive. Bus Rapid Transit or BRT is a system that allows bus vehicles to operate on a right-of-way that is largely separated from other types of traffic. The original Clean Air Act or CAA was passed in 1963, but the national Air Pollution Control Program is actually based on the 1970 revision of the law. The Clean Air Act as amended in 1990 made major changes and contains the most far-reaching revisions of the 1970 law. The Clean Air Act Amendments or CAAA is a federal law that requires states to set budgets and timetables for reducing air pollution. The law requires the SJTPO to give priority funding to transportation projects, which reduce vehicle emissions through travel pattern changes, travel mode options, and/or traffic flow improvements. The Citizen Advisory Committee or CAC was established as part of the initial structure of the SJTPO in recognition of the importance of public involvement to the organization. The CAC represents a broad cross-section of interests, and others are added to the CAC mailing list upon request. The Coastal Area Facility Review Act or CAFRA refers to legislation that places strict regulation on all development within a defined area, proximate to coastal areas. The law regulates almost all development activities involved in residential, commercial, or industrial development, including construction, relocation, and enlargement of buildings or structures; and all related work, such as excavation, grading, shore protection structures, and site preparation, including the development of transportation infrastructure. Capacity refers to a transportation facility’s ability to accommodate a moving stream of people or vehicles in a given time period. The Capital Construction Program or CCP is a listing of NJDOT and NJ Transit projects and programs to be submitted to the state Legislature for approval and to be considered for inclusion in the draft Transportation Improvement Program (TIP). Capital Program Funds are financial assistance from the transit major capital programs of 49 U.S.C. Section 5309. This program enables the Secretary of Transportation to make discretionary capital grants and loans to finance public transportation projects divided among fixed guideway (rail) modernization; construction of new fixed guideway systems and extensions to fixed guideway systems; and replacement, rehabilitation, and purchase of buses and rented equipment, and construction of bus-related facilities. Carbon Monoxide or CO is a colorless, odorless, tasteless gas formed in large part by incomplete combustion of fuel. Human activities (i.e., transportation or industrial processes) are largely the source for CO emissions. A Categorical Exclusion or CE applies to transportation projects that have minimal environmental impacts. Concept Development or CD is a set of activities that are carried out early in the systems engineering life cycle to collect and prioritize operational needs and challenges, develop alternative concepts to meet the needs, and select a preferred one as the basis for subsequent system or capability development and implementation. Certification refers to the federally mandated process whose purpose is to certify that an MPO is legally qualified to receive and expend federal dollars. A certification review examines the planning process to ensure that it complies with the provisions of SAFETEA-LU. The Code of Federal Regulations or CFR is a compilation of all regulations, published annually, issued by the federal government's agencies and departments. The Congestion Mitigation Air Quality Improvement Program or CMAQ is a program that funds transportation projects or programs that will contribute to attainment of the National Ambient Air Quality Standards (NAAQS), with a focus on reducing ozone and carbon monoxide. Funds are distributed to states based on each state's population level in air quality nonattainment areas weighted by the degree of air pollution (i.e. severe, moderate). A Congestion Management Process or CMP is a systematic approach required in transportation management areas (TMAs) that provides for effective management and operation, based on a cooperatively developed and implemented metropolitan-wide strategy of new and existing transportation facilities eligible for funding under title 23 U.S.C. and title 49 U.S.C. through the use of operational management strategies. Provides information on transportation system performance and finds alternative ways to alleviate congestion and enhance the mobility of people and goods, to levels that meet state and local needs. The Committee for a Smart New Jersey or CSNJ is a non-profit organization of public, private, and academic sector organizations having an interest in the research, deployment, and operation of Intelligent Transportation Systems (ITS) in New Jersey. Construction or CON is the final phase of work in the Transportation Improvement Program (TIP), involving actual construction. Conformity (Air Quality) is a CAA (42 U.S.C. 7506[c]) requirement that ensures that federal funding and approval are given to transportation plans, programs and projects that are consistent with the air quality goals established by a State Implementation Plan (SIP). Conformity, to the purpose of the SIP, means that transportation activities will not cause new air quality violations, worsen existing violations, or delay timely attainment of the National Ambient Air Quality Standards (NAAQS). The transportation conformity rule (40 CRF, part 93) sets forth policy, criteria, and procedures for demonstrating and assuring conformity of transportation activities. Congestion Pricing, also known as Value Pricing, refers to transportation tolls, fares, or other charges that vary with the level of travel demand (e.g., by time of day). Congestion pricing is intended to help optimize the efficiency of the transportation system. Constrained means that funding for the first three years of the Transportation Improvement Program (TIP) is fiscally constrained, meaning that the projected allocations must balance with assumed revenues. A Context Sensitive Design or CSD is a collaborative, interdisciplinary approach to designing transportation infrastructure that involves all stakeholders to develop a facility that is appropriate to its setting and preserves scenic, aesthetic, historic, and environmental resources, while maintaining safety and mobility. A Corridor is a broad geographical band that follows a general directional flow connecting major origins and destinations of trips, and which may contain a number of streets, highways, and transit alignments. A County Route or CR is a roadway designated and/or maintained by a county road department. A Disadvantaged-Owned Business Enterprise or DBE refers to both minority-owned (MBE) and women-owned (WBE) businesses. In transportation planning, DBE programs insure that eligible MBE and WBE businesses can compete fairly for government-funded projects and programs. Design Build Operate Maintain or DBOM is a term to indicate that the design, building, operation, and maintenance of a project are performed by a single agency or firm. The Delaware Valley Regional Planning Commission or DVRPC is a bi-state Metropolitan Planning Organization (MPO) for the Philadelphia area, including the New Jersey counties of Mercer, Burlington, Camden, and Gloucester. Department of Transportation or DOT when used alone, indicates the U.S. Department of Transportation. In conjunction with a place name, indicates state, city, or county transportation agency (e.g., Illinois DOT, Los Angeles DOT). An Environmental Assessment or EA is a report that identifies the environmental impacts of project alternatives as a requirement of the National Environmental Policy Act (NEPA). 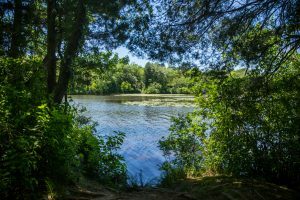 The EA can lead to a Finding of No Significant Impact (FONSI) or indicate that further study through an Environmental Impact Statement (EIS) is required. An Earmark is a requirement placed in legislation by an elected official devoting revenues to a specific public expenditure. An Environmental Impact Statement or EIS is an investigative report issued to comply with the requirements of the National Environmental Policy Act (NEPA) that quantifies the environmental impacts of major proposed transportation projects. Also: Draft Environmental Impact Statement (DEIS). An Emissions Budget is the part of the State Implementation Plan (SIP) that identifies the allowable emissions levels, mandated by the National Ambient Air Quality Standards (NAAQS) for certain pollutants emitted from mobile, stationary, and area sources. The emissions levels are used for meeting emission reduction milestones, attainment, or maintenance demonstrations. Environmental Mitigation Activities are strategies, policies, programs, actions, and activities that, over time, will serve to avoid, minimize, or compensate for (by replacing or providing substitute resources) the impacts of to or disruption of elements of the human and natural environment associated with the implementation of a long-range statewide transportation plan or RTP. The human and natural environment includes, for example, neighborhoods and communities, homes and businesses, cultural resources, parks and recreation areas, wetlands and water sources, forested and other natural areas, agricultural areas, endangered and threatened species, and the ambient air. The environmental mitigation strategies and activities are intended to be regional in scope, and may not necessarily address potential project-level impacts. The Environmental Protection Agency or EPA is the federal regulatory agency responsible for administering and enforcing federal environmental laws, including the Clean Air Act, the Clean Water Act, the Endangered Species Act, and others. The Federal Highway Administration or FHWA is a branch of the U.S. Department of Transportation that administers the federal-aid highway program, providing financial assistance to states to construct and improve highways, urban and rural roads, and bridges. The FHWA also administers the Federal Lands Highway Program, including survey, design, and construction of forest highway system roads, parkways and park roads, Indian reservation roads, defense access roads, and other Federal Lands roads. The Federal Railroad Administration or FRA is the agency of the USDOT that issues and enforces rail safety regulations; administers railroad assistance programs; conducts research and development in support of improved railroad safety and national rail transportation policy; provides for the rehabilitation of Northeast Corridor rail passenger service; and consolidates government support of rail transportation activities. The Federal Transit Administration or FTA is a branch of the U.S. Department of Transportation that administers federal funding to transportation authorities, local governments, and states to support a variety of locally planned, constructed, and operated public transportation systems throughout the U.S., including buses, subways, light rail, commuter rail, streetcars, monorail, passenger ferry boats, inclined railways, and people movers. The Federal Highway Administration or FHWA is a branch of the U.S. Department of Transportation that administers the federal-aid highway program, providing financial assistance to states to construct and improve highways, urban and rural roads, and bridges. The FHWA also administers the Federal Lands Highway Program, including survey, design, and construction of forest highway system roads, parkways, and park roads, Indian reservation roads, defense access roads, and other Federal Lands roads. Final Scope Development or FSD is the process of advancing preliminary engineering and obtaining formal community and environmental approval of the Initially Preferred Alternative. The Financial Plan is the documentation required to be included with an RTP and TIP (optional for the long-range statewide transportation plan and STIP) that demonstrates the consistency between reasonably available and projected sources of federal, state, local, and private revenues and the costs of implementing the proposed transportation system improvements. Financial Programming is a short-term commitment of funds to specific projects identified in both the regional and the statewide Transportation Improvement Program. A Finding of No Significant Impact or FONSI is a determination of an Environmental Assessment (EA) indicating that a potential project will have no significant environmental impact. Fiscal Constraint is making sure that a given program or project can reasonably expect to receive funding within the time allotted for its implementation. The RTP, TIP, and STIP must include sufficient financial information for demonstrating that projects in the RTP, TIP, and STIP can be implemented using committed, available, or reasonably available revenue sources, with reasonable assurance that that the federally supported transportation system is being adequately operated and maintained. For the TIP and the STIP, financial constraint/fiscal constraint applies to each program year. Additionally, projects in air quality nonattainment and maintenance areas can be included in the first two years of the TIP and STIP only if funds are "available" or "committed." A Fiscal Year or FY is a period used for calculating annual ("yearly") financial statements in businesses and other organizations. The New Jersey state fiscal year is July 1 through June 30. The federal fiscal year is October 1 through September 30. Formula Capital Grants are federal transit funds for transit operators, allocated by FTA, and used to purchase rolling stock (e.g., buses and trains) as well as design and construct facilities (e.g., shelters, transfer centers, etc.). Grant Anticipation Revenue Vehicle or GARVEE is any bond or other form of debt repayable, either exclusively or primarily, with future federal highway funds. Geographic Information System or GIS is a computerized data management system designed to capture, store, retrieve, analyze, and display geographically referenced information. Greenhouse Gas or GHG refers to a gas that contributes to the greenhouse effect by absorbing infrared radiation, e.g., carbon dioxide and chlorofluorocarbons. Global Positioning System or GPS is a navigation system made up of a network of satellites that allows land, sea, and airborne users to determine their exact location. A High-Intensity Activated Crosswalk Signal or HAWK is a traffic control device used to stop road traffic and allow pedestrians to cross safely. The High Risk Rural Roads Program or HRRRP was a standalone safety program under SAFETEA-LU that was eliminated under MAP-21. The program addresses safety issues on any roadway functionally classified as a rural major or minor collector or a rural local road with significant safety risks, as defined by a State in accordance with an updated State strategic highway safety plan. While MAP-21 eliminated the standalone HRRR program, a new HRRR Special Rule was created under 23 USC 148(g). The HRRR Special Rule requires a State to obligate a certain amount of funds on HRRRs if the fatality rate is increasing on rural roads. New Jersey meets the criteria to require the obligation of funds for rural roads. The Human Services Transportation Plan or HSTP is a federally required plan to help guide the region in prioritizing and funding transportation services for disabled, elderly, and low-income residents. Hyperbuild refers to an NJDOT strategy is designed to accelerate a project's schedule by condensing any or all phases of its development. The International Air Transport Association or IATA is a trade association of the world’s airlines. The IATA consists of around 260 airlines, primarily major carriers, representing 117 countries. The Interstate Highway System or IHS is the specially designated system of highways, begun in 1956, which connects the principal metropolitan areas, cities, and industrial centers of the United States. Also connects the U.S. to internationally significant routes in Canada and Mexico. Implementing Agencies are agencies responsible for maintenance, construction, and operation of the state highway and public transit systems. Also known as operating agencies, these include NJDOT, NJ Transit, and the Port Authority of New York & New Jersey. Intelligent Transportation Systems or ITS include electronics, photonics, communications, or information processing used singly or in combination to improve the efficiency or safety of a surface transportation system. The National ITS architecture is a blueprint for the coordinated development of ITS technologies in the U.S., providing a systems framework to guide the planning and deployment of ITS infrastructure. Intermodal refers to the ability to connect, and the connections between, differing modes of transportation. The Intermodal Surface Transportation Efficiency Act of 1991 or ISTEA is a legislative initiative by the U.S. Congress that restructured and authorized federal funding for transportation programs; provided for an increased role for regional planning commissions/MPOs in funding decisions; and required comprehensive regional and statewide long-term transportation plans. The Job Access Reverse Commute Program or JARC is a Federal Transit Administration (FTA) program providing funding for selected counties and municipalities to increase job accessibility for the most disadvantaged members of the population, including facilitating urban to suburban commuting. Journey to Work is a classification of data used in transportation planning; it describes the mode used by an individual to travel from home to work, as well as the time that it takes to do so. This data is collected in travel surveys and through the U.S. Census. Land Use refers to the manner in which portions of land or the structures on them are used (or designated for use in a plan), i.e., commercial, residential, retail, industrial, etc. Limited-English Proficient or LEP refers to persons who are unable to communicate effectively in English because their primary language is not English and they have not developed fluency in the English language. Level of Service or LOS is a set of characteristics - based on travel mode - that indicate the quality and quantity of transportation service provided. A facility's LOS is often given as a numerical rating. 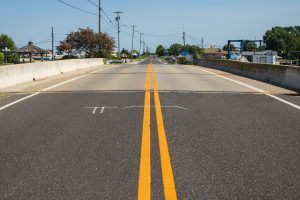 Local Lead is a joint undertaking of the SJTPO and NJDOT; this is a competitive program providing federal funds for the advancement of locally important projects through final design, right-of-way acquisition, and construction. A Maintenance Area is any geographic region of the United States that the EPA previously designated as a nonattainment area for one or more pollutants pursuant to the CAA Amendments of 1990, and subsequently re-designated as an attainment area subject to the requirement to develop a maintenance plan under section 175A of the CAA, as amended. A Major Investment Study or MIS is a study, similar to an Alternatives Analysis (AA), which was previously required by federal regulation. It reviewed and evaluated a range of alternatives for proposed transportation improvements in a corridor or subarea. Major TIP Amendments are defined by the SJPTO as those Amendments requiring a new air quality conformity analysis or adding or deleting a single item of $10 million or more, or multiple items totaling $20 million or more, from the SJTPO portion of the TIP (excludes the Statewide programs). A Management System is a system designed to generate strategies or actions related to transportation system performance and/or the physical condition of transportation system assets (examples include the Bridge and Pavement Management Systems, as well as the Congestion Management Process). The Manual on Uniform Traffic Control Devices or MUTCD is a document issued by the Federal Highway Administration (FHWA) of the United States Department of Transportation (USDOT) to specify the standards by which traffic signs, road surface markings, and signals are designed, installed, and used. A Memorandum of Agreement or MOA is an official agreement designed to ensure consistency in the administration of programs or projects. A Memorandum of Understanding or MOU in this context refers specifically to the Memorandum of Understanding on procedures to modify the TIP and STIP among the SJTPO, the NJDOT, and NJ Transit. A Metropolitan Planning Area is a geographic area determined by agreement between the metropolitan planning organization (MPO) for the area and the Governor, in which the metropolitan transportation planning process is carried out. A Metropolitan Planning Organization or MPO is the policy board of an organization created and designed to carry out the metropolitan transportation planning process for urbanized areas with populations greater than 50,000, and designated by local officials and the Governor of the state. The Minimum Operable Segment or MOS is the initial section or operating component of a transportation project. Minor TIP Amendments refer to all amendments not defined as Major Amendments. Mitigation refers to any action taken or not taken to offset environmental or other impacts of proposed transportation improvements. Mode refers to a specific form of transportation, such as automobile, subway, bus, rail, air, bicycle, or foot. A Travel Demand Model is a computer-based simulation of the transportation network that generates travel pattern forecasts. Used by the SJTPO in its transportation planning activities. A Nonattainment Area or NAA is a geographic region of the United States that has been designated by the EPA as a non-attainment area under section 107 of the CAA for any pollutants for which an NAAQS exists, meaning that federal air quality standards are not being met. Regions within non-attainment areas are required to ensure that emissions from transportation investments are consistent, or in conformity with, levels set forth in state air quality plans. The National Ambient Air Quality Standards or NAAQS are federal standards that set allowable concentrations and exposure limits for various pollutants. The EPA established these standards pursuant to section 109 of the CAA. Air quality standards have been established for the following six criteria pollutants: ozone (or smog), carbon monoxide, particulate matter, nitrogen dioxide, lead, and sulfur dioxide. The National Association of Counties or NACO is an organization representing the nation's county governments in Washington, D.C. The National Association of Regional Councils or NARC is a nonprofit membership organization serving the interests of regional councils and Metropolitan Planning Organizations nationwide. Regional councils are organizations with state and locally defined boundaries that deliver a variety of government programs, yet still function as a planning organizations and technical assistance providers. The National Environmental Policy Act of 1969 or NEPA established requirements that any project using federal funding or requiring federal approval, including transportation projects, examine the effects of proposed and alternative choices on the environment before a federal decision is made. The National Highway System or NHS is the national system consisting of interstate highways and other key links such as major state highways. The New Jersey Association of Counties or NJAC is an advocacy group for New Jersey's 21 county governments. 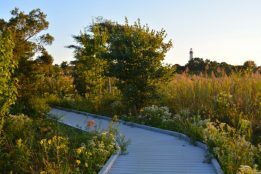 The New Jersey Department of Environmental Protection or NJDEP is the cabinet-level agency that leads the state's environmental science, regulatory, research, and education and assessment efforts. The New Jersey Department of Transportation or NJDOT is the state agency responsible for maintenance, construction, and operation of state and interstate highways. The New Jersey Short Line Railroad Association or NJSLRRA is an organization that addresses issues facing short line railroads serving New Jersey. The New Jersey Transit Corporation or NJ Transit is New Jersey’s statewide provider of public transportation services, including bus, commuter rail, light rail, and paratransit services. The New Jersey Turnpike Authority or NJTA is the agency that maintains, operates, and plans the NJ Turnpike and the Garden State Parkway. The North Jersey Transportation Planning Authority or NJTPA is a Metropolitan Planning Organization (MPO) for Northern New Jersey, including the counties of Bergen, Essex, Hudson, Hunterdon, Middlesex, Monmouth, Morris, Ocean, Passaic, Somerset, Sussex, Union, and Warren. Ozone or O3 is a colorless gas with a sweet odor. It is a secondary pollutant formed when VOCs and NOx combine in the presence of sunlight. Ozone is associated with smog or haze conditions. Although the ozone in the upper atmosphere protects us from harmful ultraviolet rays, ground-level ozone—resulting from human and natural sources—produces an unhealthy environment in which to live. The New Jersey Office of Homeland Security and Preparedness or OHSP leads and coordinates New Jersey’s counterterrorism, cybersecurity, and emergency preparedness efforts while building resiliency throughout the State. The Office of Smart Growth or OSG is the division of the state Department of Community Affairs that is charged with coordinating implementation of the State Plan and Smart Growth policies across the various state agencies. Operational and Management Strategies are actions and strategies aimed at improving the performance of existing and planned transportation facilities to relieve congestion and maximize the safety and mobility of people and goods. The P.E. is a professional licensure for engineers requiring completing a set of courses and passing a test offered by the National Society of Professional Engineers. The P.P. is a professional licensure for planners in New Jersey requiring the passing of a test offered by the New Jersey Board of Professional Planners. A Park-and-Ride is designated parking areas for automobile drivers who then board buses or trains from these locations. Particulate Matter or PM consists of airborne solid particles and liquid droplets. Particulate matter may be in the form of fly ash, soot, dust, fog, fumes, etc. These particles are classified as "coarse" if they are smaller than 10 microns or "fine" if they are smaller than 2.5 microns. Coarse airborne particles are produced either during grinding operations or from the physical disturbance of dust by natural air turbulence processes, such as wind. Fine particles can be a by-product of fossil fuel combustion, such as diesel and bus engines. Fine particles can easily reach remote lung areas, and their presence in the lungs is linked to serious respiratory ailments such as asthma, chronic bronchitis, and aggravated coughing. Exposure to these particles may aggravate other medical conditions such as heart disease and emphysema and may cause premature death. In the environment, particulate matter contributes to diminished visibility and particle deposition (soiling). The Pavement Condition Index or PCI is a numerical index between 0 and 100, which is used to indicate the general condition of a pavement. A Pavement Management System or PMS refers to a set of tools or methods that can assist decision makers in finding cost effective strategies for providing, evaluating, and maintaining pavements in a serviceable condition. It provides the information necessary to make these decisions. Preliminary Design or PD refers to the beginning phase of the project development process involved in developing project concepts and alternatives. Preliminary Engineering or PE is the initial stage of Preliminary Design (PD). At this stage, engineering has progressed to the level of assessing a project's environmental impacts through the National Environmental Policy Act (NEPA) and will result in a solution to a defined problem. Performance Measures are indicators of how well the transportation system is performing with regard to such measures as average speed, reliability of travel, and accident rates. Used as feedback in the decision-making process. The Public Involvement Plan or PIP is a Federally required document for MPOs (Chap 23 § 450.316) that defines a process for providing citizens, affected public agencies, representatives of public transportation employees, freight shippers, providers of freight transportation services, private providers of transportation, representatives of users of public transportation, representatives of users of pedestrian walkways and bicycle transportation facilities, representatives of the disabled, and other interested parties with reasonable opportunities to be involved in the metropolitan transportation planning process. Planning Funds or PL are Federal funds provided for planning projects and programs derived from a 1.25% set-aside from the federal transportation funding provided to states. PL funds are the principal revenue source for SJTPO Staff operation and other components of the Unified Planning Work Program (UPWP). The Project Pipeline is the multi-step project development process from problem statement through construction and completion. Note: The NJDOT uses four parallel pipelines depending upon the size and complexity of a particular project. The Record of Decision or ROD is the official record resulting from an Environmental Impact Statement (EIS). The Regional Transportation Plan or RTP is a document resulting from regional or statewide collaboration and consensus on a region’s or state’s transportation system, and serving as the defining vision for the region’s or state’s transportation systems and services. In metropolitan areas, this is the official multimodal transportation plan addressing no less than a 20-year planning horizon that is developed, adopted, and updated by the MPO through the metropolitan transportation planning process. Right-of-Way or ROW is property on which a transportation project is built. Also regularly used to refer to the phase of work during which such property is acquired. 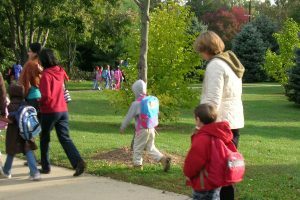 Safe Routes to School or SRTS is a program that encourages more walking and biking to school through education and promotional activities, as well as engineering improvements to create a safer walking and biking environment. The Safe, Accountable, Flexible, Efficient Transportation Equity Act: A Legacy for Users or SAFETEA-LU was a federal transportation bill that authorized the federal surface transportation programs for highways, highway safety, and transit for the 5-year period 2005-2009. The State Development and Redevelopment Plan or SDRP was enacted in 1986 by the State Legislature. The SDRP is intended to control the unplanned "suburban sprawl" overtaking many parts of the state by influencing the intensities and locations of development and redevelopment. Short-Line Railroads are small railroads that provide links between major rail freight companies and industries. New Jersey's Strategic Highway Safety Plan or SHSP is a statewide-coordinated safety plan that provides a comprehensive framework for reducing highway fatalities and serious injuries on all public roads. An SHSP identifies a State's key safety needs and guides investment decisions towards strategies and countermeasure with the most potential to save lives and prevent injuries. The State Infrastructure Bank or SIB is a revolving fund mechanism for financing a wide variety of highway and transit projects through loans and credit enhancement. SIBs are designed to complement traditional federal-aid highway and transit grants by providing states increased flexibility for financing infrastructure investments. A Single Occupancy Vehicle or SOV refers to motor vehicles occupied by the driver only (excludes motorcycles). The State Implementation Plan or SIP is the portion (or portions) of the implementation plan (as defined in section 302[q] of the CAA), or most recent revision thereof, which has been approved under section 110 of the CAA, or promulgated or approved under section 301(d) of the CAA and which implements the relevant requirements of the CAA. Although the SIP is produced by the state environmental agency (not the MPO) to monitor, control, maintain, and enforce compliance with the NAAQS, it must also be taken into account in the transportation planning process. The South Jersey Transportation Authority or SJTA was established by the State Legislature in June 1991 to assume operational responsibilities for the Atlantic City Expressway, Atlantic City International Airport terminal, and parking facilities in Atlantic City. The SJTA serves the counties of Atlantic, Camden, Cape May, Cumberland, Gloucester, and Salem. 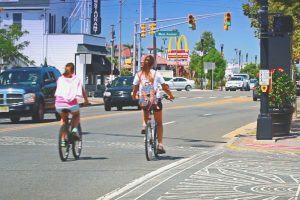 The South Jersey Transportation Planning Organization or SJTPO is the metropolitan planning organization (MPO) for the New Jersey counties of Atlantic, Cape May, Cumberland, and Salem. Smart Growth is well-planned and well-managed growth that adds new homes and creates new jobs, while preserving open space, farmland, and environmental resources. Smart Growth supports livable neighborhoods with a variety of housing types, price ranges, and multi-modal forms of transportation. Sources (Pollution) refers to the origin of air contaminants, which can be point source (coming from a defined site) or nonpoint-source (coming from many diffuse sources). Stationary sources include relatively large, fixed facilities such as power plants, chemical process industries, and petroleum refineries. Area sources are small, stationary, non-transportation sources that collectively contribute to air pollution, and include such sources as dry cleaners and bakeries, surface coating operations, home furnaces, and crop burning. Mobile sources include on-road vehicles such as cars, trucks, and buses; and off-road sources such as trains, ships, airplanes, boats, lawnmowers, and construction equipment. Common mobile source-related pollutants are carbon monoxide (CO), hydrocarbons (HC), nitrogen oxides (NOx), and particulate matter (PM-10 and PM 2.5). The State Planning Commission or SPC is a 17-member group representing state government, local government and the public on statewide planning issues. The SPC works with the Office of Smart Growth (OSG) to further state planning goals. The State Planning and Research Funds or SPR is the primary source of funding for statewide long-range planning, administered by the FHWA. Sprawl refers to the unlimited outward expansion of suburbs characterized by low-density residential and commercial development, unchecked land development, and dominance of transportation by autos. State Development and Redevelopment Plan or SDRP was enacted in 1986 by the State Legislature. The SDRP is intended to control the unplanned "suburban sprawl" overtaking many parts of the state by influencing the intensities and locations of development and redevelopment. State Planning and Research Funds or SPR is the primary source of funding for statewide long-range planning, administered by the FHWA. The Statewide Transportation Improvement Program or STIP is a statewide prioritized listing/program of transportation projects covering a period of four years that is consistent with the long-range statewide transportation plan (LRSTP), MPO regional transportation plans (RTPs), and MPO transportation improvement programs (TIPs). The STIP is required for projects to be eligible for funding under title 23 U.S.C. and title 49 U.S.C. Chapter 53. The Surface Transportation Board or STB is a federal agency that adjudicates disputes and regulates federal interstate surface transportation including trucking, rail freight, ocean shipping, interstate buses, and other modes. The Surface Transportation Program of New Jersey or STPNJ provides flexible funding that may be used by the state and localities for projects on any federal-aid highway, including the NHS, bridge projects on any public road, transit capital projects, and intracity and intercity bus terminals and facilities. The Surface Transportation Program or STP is a federal-aid highway funding program that supports a broad range of surface transportation capital needs, including many roads, transit, sea and airport access, vanpool, bike, and pedestrian facilities. System Expansion refers to infrastructure projects that will physically add capacity to the existing transportation network. System Management refers to projects and programs that optimize the performance of the existing transportation network. System Preservation refers to projects and programs that rehabilitate or replace aging infrastructure without expanding the system. The Technical Advisory Committee or TAC is a fourteen-member committee that provides input to the Policy Board, and consists of staff of each Policy Board member, as well as representatives of the New Jersey Turnpike Authority and the Delaware River and Bay Authority, along with the chairperson of the Citizens Advisory Committee. Other agencies are also invited to participate in the Technical Advisory Committee. The Transportation Clean Air Measures or TCAMs are measures intended to reduce transportation-related emissions. TCAMs could include clean vehicle technology and diesel retrofits, anti-idling strategies, vehicle travel reduction, and public outreach programs. Transportation Control Measures or TCMs include any measure specifically identified and committed to in the applicable State Implementation Plan that is either one of the types listed in section 108 of the CAA or any other measure for the purpose of reducing emissions or concentrations of air pollutants from transportation sources by reducing vehicle use or changing traffic flow or congestion conditions. Notwithstanding the above, vehicle technology-based, fuel-based, and maintenance-based measures that control the emissions from vehicles under fixed traffic conditions are not TCMs. Transportation Demand Management or TDM is a program designed to reduce demand for transportation through various means, such as the use of public transit and of alternative work hours. The Transportation Equity Act for the 21st Century or TEA-21 was legislated in 1998 and authorized approximately $217 billion in federal funding for transportation investment for FYs 1998- 2003. Used for highway, transit, and other surface transportation programs. Telecommuting refers to employment utilizing electronic communications (by telephone, computer, fax, etc.) with a physical office, either from home or from another site, instead of traveling to and working in the office. A Twenty-foot Equivalent Unit or TEU is the standardized unit for measuring container capacity on ships, railcars, etc. The Transportation Infrastructure Finance and Innovation Act of 1998 or TIFIA is a federal credit program under which the DOT may provide three forms of credit assistance— secured (direct) loans, loan guarantees, and standby lines of credit – for surface transportation projects of national or regional significance. The fundamental goal is to leverage federal funds by attracting substantial private and non-federal co-investment in critical improvements to the nation's surface transportation system. The Transportation Improvement Program or TIP is a prioritized listing/program of transportation projects covering a period of four years that is developed by an MPO as part of the metropolitan transportation planning process, consistent with the regional transportation plan (RTP), and required for projects to be eligible for funding under title 23 U.S.C. and title 49 U.S.C. Chapter 53. TIP amendments are required when adding a new project (or program), deleting a project (or program), when there is a major change to project design concept or scope that would require a new air quality conformity analysis, and when a project (or program) is being moved forward from the fourth or fifth years of the TIP into the first year. Amendment is as defined in the Memorandum of Understanding (MOU) between the SJTPO, the New Jersey Department of Transportation (NJDOT), and the New Jersey Transit Corporation (NJ Transit). TIP Modifications are defined by the SJTPO as changes to the TIP as defined in a Memorandum of Understanding (MOU) between the SJTPO, the NJDOT, and the NJ Transit, as amended and supplemented that are of less significance than an amendment. Under the MOU, they are usually processed administratively by the SJTPO Executive Director upon consultation with the counties. A Transportation Management Area or TMA is an urbanized area with a population of 200,000 or more, as defined by the U.S. Bureau of the Census and designated by the Secretary of Transportation, or any additional area where TMA designation is requested by the Governor and the MPO and designated by the U.S. Secretary of Transportation. Transportation Management Associations or TMAs are organizations established to work with employers to help provide more effective transportation options. They promote ridesharing and transit use, among other activities. A Transit Oriented Development or TOD is compact, pedestrian-friendly, mixed-use development near bus and rail stations that serves housing, transportation, and neighborhood goals. Traffic calming refers to changes in street alignments, installation of barriers, and other physical measures to reduce traffic speeds and/or cut-through volumes to improve street safety and livability. Transportation Demand Management or TDM is a programs designed to reduce demand for transportation through various means, such as the use of public transit and of alternative work hours. The Transportation Research Board or TRB is a division of the National Research Council, which serves as an independent adviser to the federal government and others on scientific and technical questions of national importance. Transportation System Management or TSM refers to initiatives designed to create the more efficient use of existing transportation facilities through improved infrastructure management and operation. The Transportation Trust Fund or TTF is the account established by state law for funding transportation programs and initiatives, with revenues from fuel taxes and other sources. The Trust Fund is a fund credited with receipts that are held in trust by the government and earmarked by law for use in carrying out specific purposes and programs in accordance with an agreement or a statute. An Urbanized Area or UA is a geographic area with a population of 50,000 or more, as designated by the U.S. Bureau of the Census. The Unified Planning Work Program or UPWP is a statement of work identifying the planning priorities and activities to be carried out within a metropolitan planning area. At a minimum, a UPWP includes a description of the planning work and resulting products, which will perform the work, time frames for completing the work, the cost of the work, and the source(s) of funds. The United States Department of Transportation or USDOT is the main federal agency that develops and coordinates policies pertaining to the national transportation system. It includes the Federal Highway Administration (FHWA) and the Federal Transit Administration (FTA). Value Pricing, also known as Congestion Pricing, refers to transportation tolls, fares or other charges that vary with the level of travel demand (e.g., by time of day). Congestion pricing is intended to help optimize the efficiency of the transportation system. A Variable Message Sign or VMS is an electronic traffic sign often used to give travelers information about emergencies, special events, construction, speed limits, etc. Vehicle Hours Traveled or VHT is the total vehicle hours expended traveling on the roadway network in a specified area during a specified time period. Vehicle Miles Traveled or VMT is a measurement that is equal to one vehicle traveling the distance of one mile. This measure is used to estimate congestion, fuel consumption, and a host of other key transportation-related factors. Visualization Techniques refer to methods used by states and MPOs in the development of transportation plans and programs with the public, elected and appointed officials, and other stakeholders in a clear and easily accessible format such as maps, pictures, and/or other displays to promote improved understanding of existing or proposed transportation plans and programs. Vehicle Miles Traveled or VMT is a measurement that is equal to one vehicle traveling the distance of one mile. This measure is used to estimate congestion, fuel consumption and a host of other key transportation-related factors.